Doppelgängers are enjoying a moment in the zeitgeist, thanks to Jordan Peele’s cinematic depiction of “tethered” selves—lives lived in the shadows of others’ free will. But in True Blue Mirror, a two-person show at San Francisco’s McEvoy Foundation for the Arts, the discovery of an artistic doppelgänger is a happy coincidence worth examining, rather than an eerie foreshadowing of imminent disaster. The artists’ works also share a formal self-assuredness. 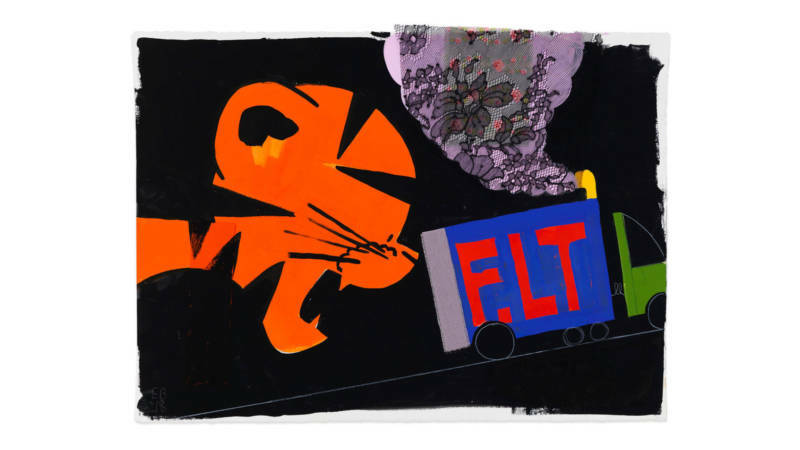 Berkenblit’s large-scale paintings of witches, tigers, birds and trucks are rendered in thick brushstrokes and black outlines, cartoonish and angular. 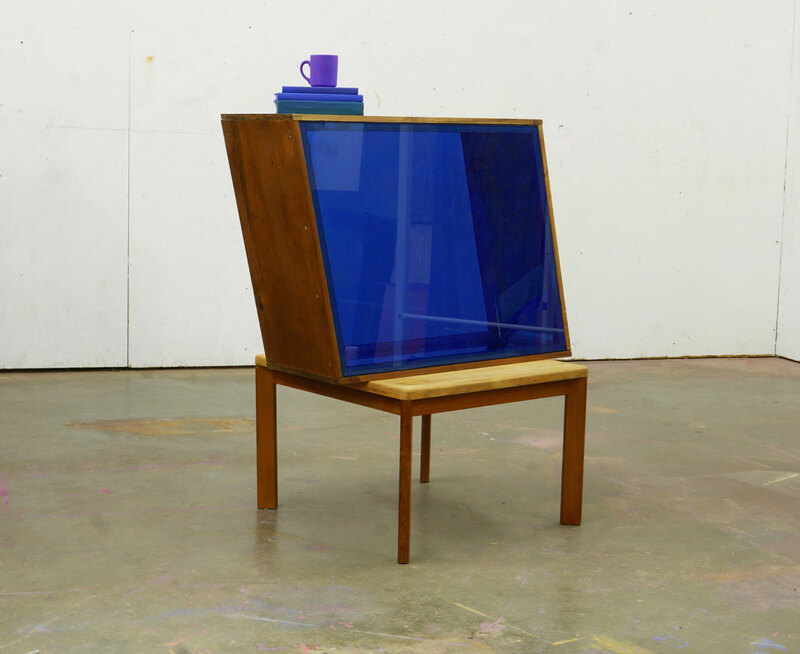 Braman’s sculptures combine vibrantly colored glass with blocks of wood and utilitarian furniture, creating an appealing outdoorsy constructivism. Moore proposes viewing the show as if the work is made by one artist, a Berkenblit-Braman hybrid, thereby merging two distinct practices into one super-artist: the creator of wily narratives and custom props for those theatrics, all in one. The enacting of alter egos gets further play (literally) in an excellent video program on view in the MFA’s screening room. Introspections, curated by local artist and educator Mads Lynnerup (who gives a curator’s talk Saturday, April 6, 2–3pm), shows a loop of six artist-made videos satirizing or actually performing within pop-culture television tropes: televangelism, talk shows, sitcoms, ads and music videos. Showing approximately every half hour, the program (featuring work by Bjørn Melhus, Nao Bustamante, Trisha Baga, William Wegman and Yung Jake) is a welcome reminder that artists have long skewered mass media’s attempt to push certain narrative depictions of humanity (or sell us things), and have done so with a precision and humor we’d do well to emulate. 'True Blue Mirror' and 'Introspections' are on view at San Francisco's McEvoy Foundation for the Arts (1150 25th Street, Building B) through May 4. Details here.